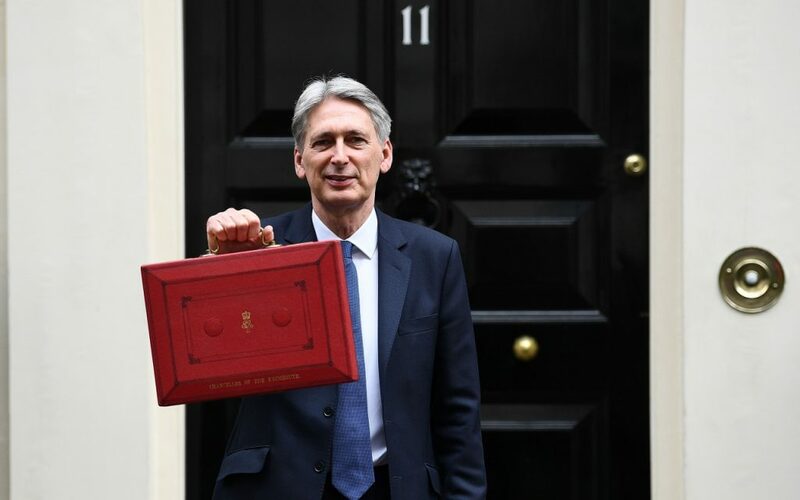 The Chancellor, Philip Hammond, delivered his Autumn Budget to Parliament, in which he outlined sluggish growth for the UK economy over the next four years – according to Office for Budget Responsibility (OBR) figures – with weak productivity named as one factor for weak GDP growth. News headlines have largely focussed on the announcement to remove Stamp Duty for first time buyers on property up to £300,000, and reduced costs up to £500,000 – news that will be welcomed by those saving hard to get on the housing ladder – despite concerns that the measure could lead to a spike in property prices in that price band. • The pension lifetime allowance will rise to £1,030,000 and reassuringly there are no changes to the pensions funding limits – i.e. the annual allowance remains at £40,000 and will not be tapered until adjusted income exceeds £150,000. • The personal allowance and higher rate threshold will increase to £11,850 and £46,350. The income tax rates and bands which will apply to Scottish taxpayers will be announced in Scottish Budget on 14 December. • The dividend allowance will be cut to £2,000 as already announced. In particular, this will hit small and medium sized business owners who take their profits as a dividend. Employer pension contributions will become an even more attractive way of extracting profits from a business. • There are no changes to any other income tax bands. • The capital gains tax allowance will increase by £400 to £11,700. • As expected, the IHT nil rate band will remain at £325,000 until April 2021 and the residence nil rate band will increase from £100,000 to £125,000. In total that will mean that, from April, couples can leave assets up to £900,000 to future generation free of IHT. • There will be a consultation published in 2018 to consider the simplification and fairness of trust taxation. • Annual ISA limits stay at £20,000 per person, with a range of different ISAs to choose from. Each has its own rules and limits and is designed for different purposes, whether that’s medium or long term investing, or saving for a house deposit.